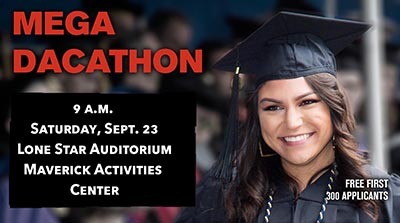 Students affected by the Deferred Action for Childhood Arrivals policy, or DACA, can attend the Mega DACAthon 9 a.m. Saturday, Sept. 23, in the Lone Star Auditorium of the Maverick Activities Center. The Center for Mexican American Studies and Proyecto Inmigrante ICS Inc. host the program, which is free for the first 300 applicants. Others will be referred to legal service providers on site. If your DACA work permit expires between Sept. 5, 2017, and March 5, 2018, you must file your renewal by Oct. 5, 2017. If your permit expires after March 5, you will not be eligible to renew. Bring a copy of your work permit and social security card (front and back); date and place of last entry into the United States; two passport photographs; any information about police arrests or immigration detentions; and a copy of prior DACA application. For details, call 888-793-2182, ext. 201; visit proyectoinmigrante.org; or contact the Center for Mexican American Studies at 817-272-2933. 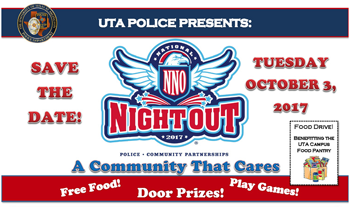 Departments and organizations are encouraged to host information tables at UTA's National Night Out celebration on Tuesday, Oct. 3, at the University Center mall. Faculty and staff also can volunteer to help with set-up, clean-up, and other tasks. Register online. Employees—Employee Assistance Program (EAP) is provided through UTA’s Office of Human Resources at 1-800-343-3822 or alliancewp.com. 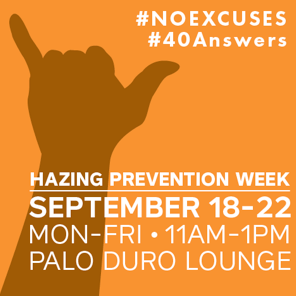 Students—Drug and alcohol counseling and referral services are available through UTA Health Services at 2-2771 or uta.edu/healthservices. The Center for Students in Recovery is a resource for students struggling to stay sober. 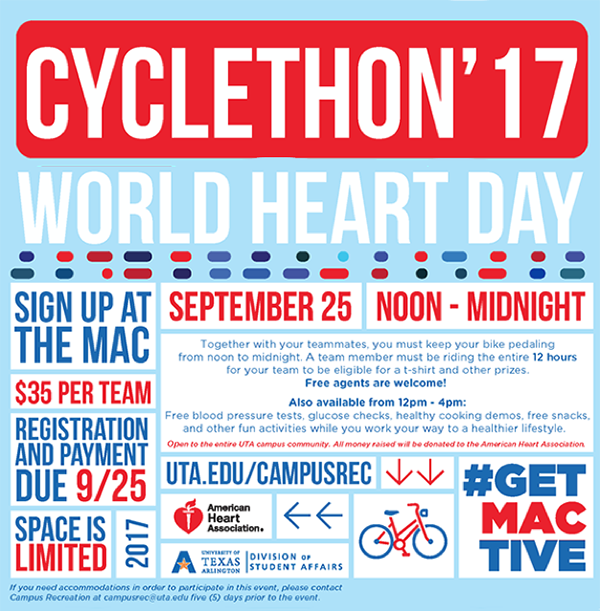 For more information, contact UTA's Health Services at 817-272-2771 or visit uta.edu/healthservices. Oozeball Tournament. Register by today, Tuesday, Sept. 19. Oozeball is Friday, Sept. 22. TrailBlazing Race. Register by Thursday, Sept. 21. Event is Thursday. Cyclethon. Register by Monday, Sept. 25. Event is Monday. Professional headshots at All-Majors Job Fair. Register by Monday, Sept. 25. 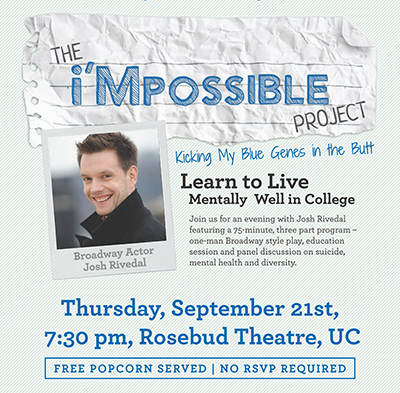 Event is Sept. 27. Black Leadership Institute. Register by noon Oct. 4. Event is Feb. 10. UTA/UTSW Adaptive Sports Expo—8 a.m.-4 p.m. Saturday, Oct. 28, Maverick Activities Center. A day of interactive adaptive sports activities and local resources with appearances by medal-winning Paralympians and U.S National Team members. No special training, skills, or knowledge is required. Volunteers will receive a T-shirt, lunch voucher, and a certificate. Hosted by UTA Adaptive Sports. Questions? Contact Doug Garner at dgarner@uta.edu.